RE/MAX real estate agents are partnering with the movers of My Guys Moving in Virginia Beach to collaborate our moving and house hunting efforts and provide outstanding results for our customers. RE/MAX has been the top source for residential, commercial, local and long distance real estate services since 1973. Both My Guys Moving specialists and RE/MAX real estate agents are completely committed to using their professional expertise and resources to provide customers with the best moving experience. With the joint efforts of our expert movers and real estate agents, you can look forward to an overall enhanced house hunting and moving experience. 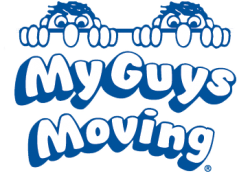 My Guys Moving in Virginia Beach dedicates every effort to providing the best moving experience for our customers. Our professional movers work closely with each customer to design a specific moving plan and ensure that the customer’s moving needs are met. With My Guys Moving, you can count on our expert movers to provide exceptional local, long distance and international moves to or from the Virginia Beach area. Whether your move is commercial or residential, our professional movers have the equipment and resources to handle all your valuables and office supplies with extreme care. With My Guys Moving and RE/MAX real estate agents working together, the customer has the advantage of receiving two essential services out of one collaboration.